An exciting and mildly adventurous activity suitable for the young and old. Of all the bridge activities, the bridge slide is certainly the tamest one. People of all ages can do it from toddlers to old-timers. It does provide a bit of an adrenalin rush, not enough for you to question all of you life choices, but enough to make you want to do it again. 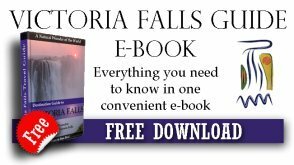 You will need to cross the Victoria Falls Bridge to where The Bridge Cafe is located. 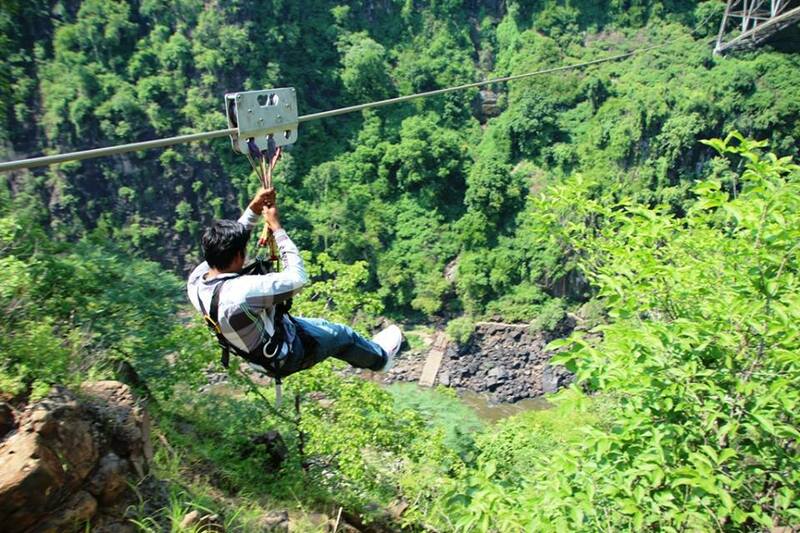 Once you've checked in and signed all your paperwork, you are strapped into your harness and walk up to the platform on the Zambian edge of the Batoka Gorge. You can choose to go at it alone or in tandem. NOTE that children from 4 to 13 years of age must go in tandem with a guardian. 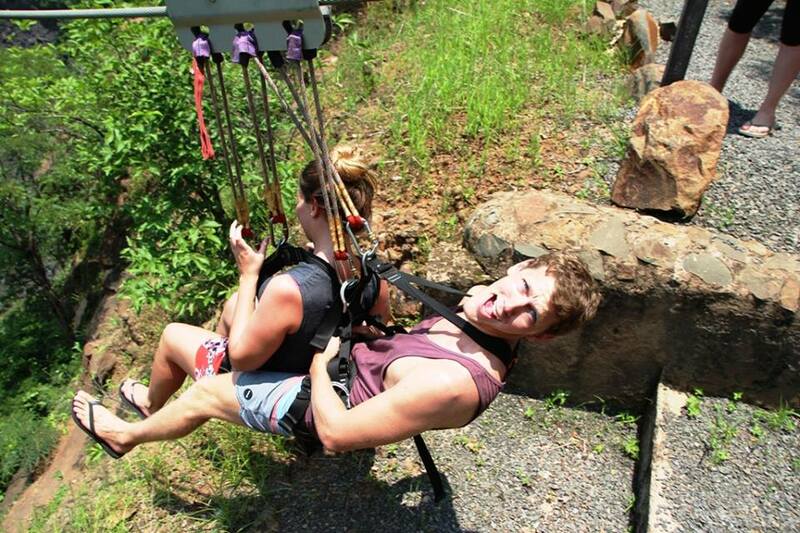 The zipline goes for 300 metres over the Zambezi River rapids in the Batoka Gorge below giving you a spectacular view of the Zambezi River and gorge before you are gently brought over to the Victoria Falls Bridge. Then you take a short walk under the bridge to the Zimbabwean edge of the Batoka. Minimum age 14 years and all persons under 18 years must have the written consent of a parent or guardian. Children 4 to 13 may take part only in tandem with a guardian. Minimum Weight – 40 Kilograms. Maximum Weight – 160 Kilograms. There no discounts - children are charged full price.